The famous aerobatic team will represent UK in Jordan, Saudi Arabia, Kuwait, Qatar, Oman and Bahrain. According to a news appeared on gov.uk, the Defence Secretary Sir Michael Fallon will announce that the Royal Air Force Red Arrows will tour the Middle East next month. 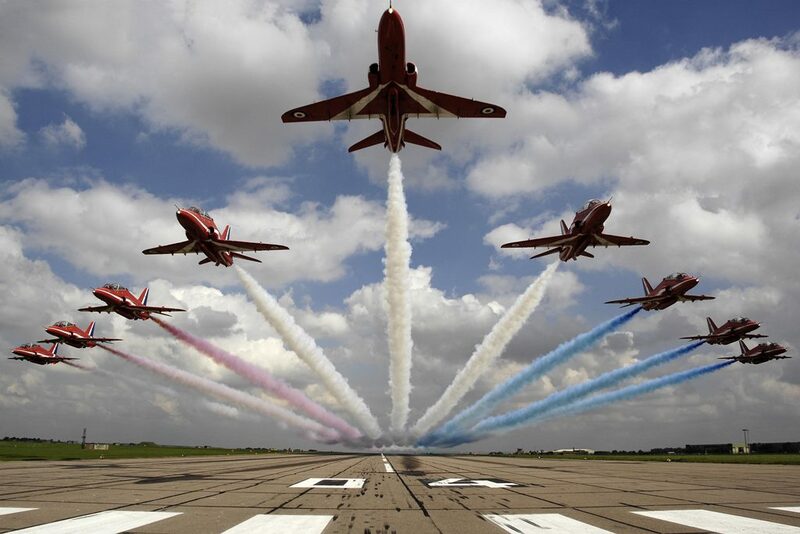 The english aerobatic team will perform in seven countries (Jordan, Saudi Arabia, Kuwait, Qatar, Oman and Bahrain) to promote the United Kingdom’s long-standing relations across the Gulf. The Defence Secretary will also meet the commanders in the coalition headquarters in Kuwait to review the campaign to defeat Daesh. "This historic Red Arrows tour will be a visible demonstration of UK engagement across the globe, flying the flag to promote Britain in important capitals through the GREAT campaign. Kuwait is a vital partner. I will be looking to strengthen our military relationship with more frequent joint exercises and I will be reviewing the next steps in the campaign against Daesh with commanders at the Coalition’s headquarters in Kuwait." The tour will highlight the partnership between the British Armed Forces and the seven nation visited, as well as demonstrating that UK is ready for new business opportunities. The Red Arrows tour will allow for further close cooperation with Kuwaiti and regional armed forces and promote opportunities for investment and trade with the UK, encourage government-to-government engagement to develop economic partnership.